Giveaways ending soon-Get your entries in! Remember to get your entries in for the giveaways ending soon! I don't want anyone to miss out! All links to the giveaways are in the upper right hand sidebar. 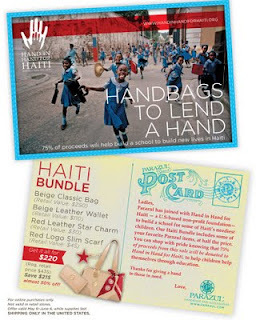 Parazul Hand in Hand for Haiti Handbag Bundle Ends this Thursday, 6/30 at 8:00pm Eastern Time! Skoy Cloths Ends this Friday, 7/1 at 8:00pm Eastern Time! Peeled Snacks-Organic Dried Fruit Pouch Sampler, Ends this Friday 7/1 at 8:00pm Eastern Time! Intelligent First Aid-Choice of Talking Safe at Home First Aid kit or Talking Safe Traveler Kit, Ends this Friday, 7/1 at 8:00pm Eastern Time! I was very excited to be able to review Dr. Sears' Zone Diet products for 2 weeks. I have struggled with my weight for many years and my issue is that I absolutely love carbs. They, however, seem to hate me. With the Zone Diet products, you can eat real food including carbs! I loved this idea! The Zone Diet is now the easiest diet to follow for a lifetime with the introduction of Zone Foods. Their new baking technology has removed excess carbohydrates from the foods (pasta, pizza, bread and even the cookies) that used to make you fat and replaced it with protein that keeps you in the Zone while dramatically reducing hunger. You can finally enjoy great tasting foods you love to eat with the desired balance of protein, carbohydrate and fat while you burn fat faster and control hunger throughout the day. Countoff.com is a new daily deals network for national offers that offers a fresh approach to the daily deal format by shifting away from discounts at local businesses and jumping to top-tier national merchants and name brand retailers. Operating in beta-mode since May 2nd, CountOff has seen dramatic growth and high conversation rates from initial discount deals offered to consumers. Beta merchants included major brands such as NASCAR Racing Experience, VistaPrint, Barnes & Noble, Mrs. Fields, Ashford.com, among others. Want to save money on every day products in categories such as Wireless, Watch, Family and Jewelry? If so, check out 1saleaday. You can save up to 90% on every day products. 1SaleADay is a new and easy way of finding tons of coupons online. 1Saleaday offers the deepest discounts on a variety of merchandise with a new deal for each five categories (Wireless, Watch, Family, Jewelry, etc.) posted at 12 midnight EST every day. 1SaleaDay leverages its global buying power to offer discounts up to 90% off retail prices for electronics, collectibles, housewares, toys and more. Disclosure: I was not compensated in any way for this post and am not affiliated with 1saleaday in any way. I am merely sharing information as received by me. Ever heard of Giveawayblogs.com? It's a great place for bloggers to sign up to receive items for reviews and giveaways, as well as finding other giveaways to enter. It's complete FREE to join! If you do decide to sign up, when filling out the sign up form, it asks "who referred you? ", please mention that Kathleen @ Just the Two of Us and Deals referred you. If you do, you might win a Nintendo Wii because if I win, you win! Disclosure: I received no compensation for this post and am only a free member at Giveawayblogs.com. I am not affiliated with Giveawayblogs in any other fashion. I am, however, entered to win a Nintendo Wii for posting this. Up for supporting a great cause with just a simple click? 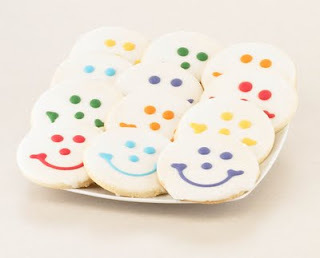 Tupperware Brands will donate $1 to the Boys and Girls Clubs of America for every “like” of www.Facebook.com/chainofconfidence. The Chain of Confidence Facebook Page guides women to success by providing them the tools and mentorship needed for personal and professional growth.In this time where people use the internet to tear others down, this site is a complete buildup and support center. We are thrilled to announce that Rite Aid is giving away 300 tickets for the Taylor Swift Speak Now tour, including many stops that are already sold out! Fans and followers of Rite Aid’s Facebook and Twitter pages will have the opportunity to win one pair (2) of tickets for 16 shows in nine states throughout the summer and fall. All contestants must be 18 or older. Ticket giveaways on Twitter start tomorrow, June 22, and run through Tuesday, June 28. Follow @riteaid (http://twitter.com/riteaid) for all the details on these retweet contests. There will be five lucky winners for each of the five contests. Then head over to our Facebook page (http://facebook.com/riteaid) starting Friday, July 1, for chances to win tickets to 11 additional concerts as well as a special grand prize opportunity to win meet-and-greet passes! Disclosure: I was not compensated for this post in any way. I am not affiliated with Rite Aid in any way. I am merely sharing information received by me. Lots of blogs have started to use or are currently testing a new giveaway plug in for their giveaways. It's called Rafflecopter.It's supposed to make the giveaway entering process easier..Just wondering what your thoughts are? Should I use it on one giveaway to see how you all like it? Do you already have an opinion about it? Let me know because I will only use it if my readers actually want me to use it! In the event of a medical emergency or accident, would you know the proper first aid techniques? Do you have a first aid kit but have no idea how to properly use the items or in what order? No? Me either, so don't feel bad. I have a very basic first aid kit but it's really only good for minor cuts and scrapes. When I heard about Intelligent First Aid, I was extremely interested in their Talking First Aid kits. Yes, a first aid kit that talks. They were generous and send me their Safe at Home Talking First Aid Kit. Intelligent First Aid kits are designed by medical and educational experts to assist first responders in providing rapid and accurate first aid care in the event of an injury. I am always on the look out for healthy snacks that don't have added sugar, other dyes, colorings or high fructose corn syrup for my daughter. My daughter loves fruit so when I got the chance to sample some yummy snacks from Peeled Snacks, I was all for it. In New York City in 2004, Noha Waibsnaider founded Peeled Snacks when she noticed something missing from the world of snack foods. Store shelves were full of processed potato chips, corn syrup-filled candy, and energy bars made with too many mysterious ingredients. 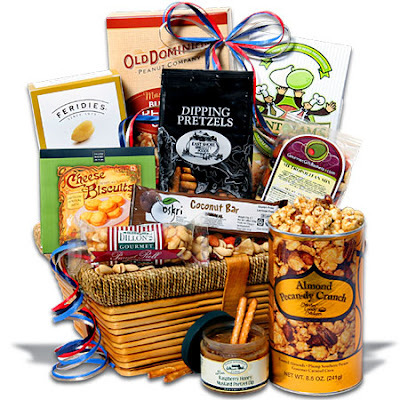 But you couldn't get anything healthy and tasty that made you feel good about snacking. So she set about to fix that problem. Out of #120 entries, Random.org picked #94. I am following you via gfc and I like that they have a 'recipe' section with amazing dips and stuff that go with their chips! <a href="http://marnisorganizedmess.blogspot.com/search/label/Super%20Stalker%20Sunday"><img src="http://farm6.static.flickr.com/5146/5655930681_c5ee43502a.jpg" width="125" height="125" /> Welcome to Super Stalker Sunday(Week 7). I am so excited to be the featured blog this week! and Emily ofNaptime is My Time Blogs hops are a great way to meet other bloggers,socialize and gain more followers. Do you like to socialize? Well,we all like followers,right?! If you’ve been around the blogosphere you know there are Blog Hop’s for everything you can think of and every day of the week:RSS Feed, Google Friend Connect, Email Readers, Facebook Fans, and Twitter Followers. Well, why not get all of your followers in one placeonce a week? This is the place! Hasbro is one of the top toy companies I think of when I think of toys and in fact, is one of the largest toy makers in the world. They make so many great toys that are well made and made to last. I was recently sent a My Little Pony-Princess Celestia toy to review along with my daughter. Princess Celestia is a magical and beautiful pony who rules the kingdom of Equestria. All of the ponies in Ponyville look up to her. Help your Princess Celestia pony figure rule her kingdom! This beautiful, electronic pony figure has all kinds of things to say to you, like “I will light the way!” and “Let’s fly to the castle!” When you two are ready to “soar,” press the button to make her wings light up and move. Comb your princess friend’s pretty purple and pink ringlets and put in her barrettes to help her majesty always look her best and rule with justice and beauty! Pony figure comes with crown, necklace, 4 barrettes and comb. Includes 2 “AA” batteries. YAY! I am going to be the featured blog next week for Super Stalker Sunday blog hop! It is graciously hosted by Marni of Marni's Organized Mess, April of Mama on a Green Mission, Mariah of Formula Mom, Kortney of Kortney's Krazy Life and Emily of Naptime is My Time. For those of you who don't know blog hopping is, it's an easy way to gain new blogging friends and followers! For blog readers, it's a great way to find new blogs to read! The link is in my right sidebar, just below my GFC followers or can be easily found on any of the hostesses' blogs. Just by linking up your blog each week, you can get your own chance at getting to be the weekly featured blog. I thought I would post today about the signs and symptoms of PDD-NOS and Autism because my daughter has PDD-NOS and has had signs since she was about 2. She was not formally diagnosed with PDD-NOS until recently. I never put two and two together and neither did anyone else she was around(including many teachers, speech therapists etc). All I ever was told was that she was "different", "she doesn't act normal", "isn't like the other children", "doesn't listen or behave" etc. Everyone made her out to be some kind of freak who just wouldn't listen and misbehaved on purpose. I knew this was not the case and something more was going on. A few years ago, a psychologist said she had a few autism traits but not enough to diagnose as autism and that she was just stubborn! So I let things go because I thought "well, hes a professional, he knows what he's talking about". The cost: In my area, 12 packs can range from $3-5 each if not on sale. The same goes for the 6 packs of bottles. A 2 liter of national brand soda can cost nearly $2 if not on sale. Even on sale, 12 packs are $2.50 each and 2 liters are $1.25. The lugging: I hate having to lug multiple 12 packs or 2 liters. They are heavy and just a pain.The storing: I don't have a ton of room in my apartment so storing lots of soda isn't always possible.Waste: I hate wasting food and drinks. I always find myself wasting parts of canned soda or having a 2 liter go flat before it's finished. My daughter is notorious for not finishing a can of sodaThe garbage: Yes, I recycle but it's still a lot of garbage just from 1 12 pack of soda. When I heard about SodaStream, I was very excited to learn I could make my own soda at home. I was recently sent a SodaStream unit for my review.